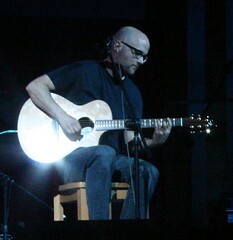 Moby is a unique musician. His music is somewhere between dancehall and coffeeshop, and that’s not a bad thing. I’ve seen him at a stadium show, which was not the right venue to enjoy his music, since there were no dancefloors or lattes within reach. But his performance was incredible. So what the heck does Moby have to do with PR? Simple: A Moby song is like a bad story pitch. Moby’s songs are catchy because they are repetitive. Very repetitive. See how repetitive that is? Same words, same melody over and over again. A Moby song, for the most part, has only Plan A. Thus, you know within the first 30 seconds if you like it or not. At that point, you can pretty much stop listening, because your mind is made up and there is nothing the song will do to change your perception. When you, Mr. or Ms. Publicist, are pitching a reporter, you have a stated goal – to get the story placed. In a good pitch, if Plan A doesn’t work, you should have Plans B, C and sometimes even D queued up. When you are selling a story, you need to have different angles to look at it, because you never know what will motivate a reporter to cover your story in tomorrow’s edition. I mean, your story is worth readers and viewers learning about it, right? Anticipate the roadblocks. This isn’t to say Plan A isn’t going to work the majority of the time. Your strongest pitch should be your first shot, but if you don’t prepare for the roadblocks with different ways to explain your story to a reporter or editor, you are losing coverage.